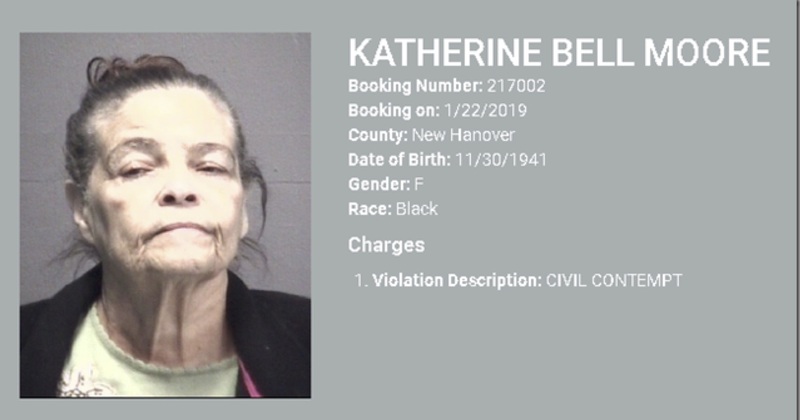 North Carolina Judge Stanley Carmical ordered the arrest of 77 year old Katherine Bell Moore for civil contempt on an issue stemming from a probate dispute. Moore’s representatives informed the judge of Mrs. Moore’s battle with pancreatic cancer, and presented a letter from Mrs. Moore’s doctors at the Mayo Clinic in Florida. Judge Carmical chose to order the arrest of Mrs. Moore. Mrs. Moore is being held at a local jail pending a hearing on her bail/bond.